While this might not be the first time we’ve seen the incoming C7 Corvette ZR1 lapping the Nordschleife, it’s probably the best footage we’re yet to see. It seems to look faster and sound meaner than it has done thus far (despite the quirky, ‘Ring regulation-friendly exhaust silences), with the rev-limiter-smashing moment at the 1min 38sec mark being a particular highlight. 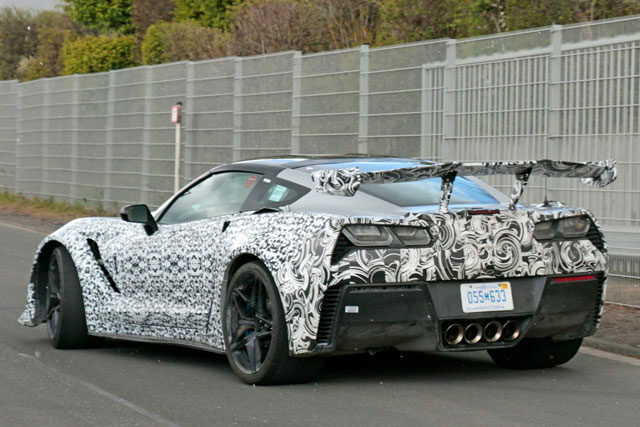 The latest rumours suggest the ZR1 will be powered by an ‘LT5’ 6.2-litre supercharged V8, a development of the LT4 found in the likes of the Camaro ZL1 Corvette Z06. It will apparently kick out around 750bhp, and – as clearly shown by the test mule seen here – have one hell of an aero package. We can’t wait to see it revealed in full. Next articleKingston Upon Thames Taxis: Are Private Hire Services Better Than Public Hire Services?